It's not often that jazz gets a mention in the Sunday Express but it did today - a near full page spread. The reason? Today, February 26, marks the centenary of the first ever jazz recording which took place at the Victor studios on the third floor of 46 West 38th St. New York. The Original Dixieland Jazz Band recorded Livery Stable Blues and Dixieland Jass One-Step thus paving the way for what followed although, as we all know, the real innovators were black musicians such as King Oliver and Louis Armstrong. Although the music has developed almost beyond recognition over the past 100 years there has always been a core of musicians and fans who remained faithful to the early jazz styles. One such person is trumpet player Carl Spencer. 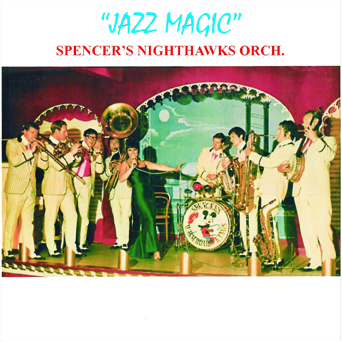 In the 1960s, Spencer formed his Washboard Kings. 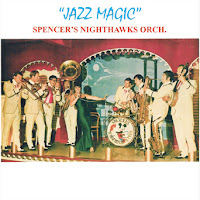 In 1997 they were revived as Spencer's Nighthawks Orchestra and a five-CD set has been put together by the leader. 122 tracks.